Paestum is the classical Roman name of a major Graeco-Roman city in the Campania region of Italy. It is located in the north of Cilento, near the coast about 85 km SE of Naples in the province of Salerno, and belongs to the commune of Capaccio. 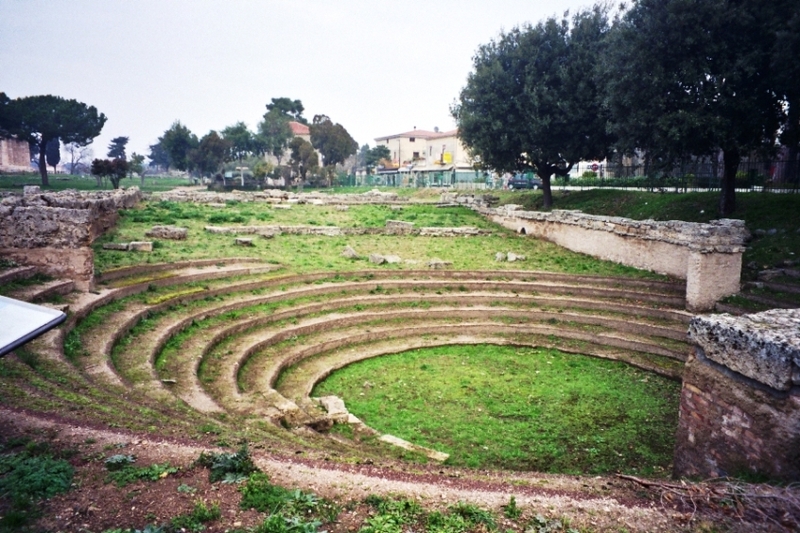 Paestum was founded around the end of the 7th century BC by colonists from the Greek city of Sybaris, and originally known as Poseidonia. Outside of archaeological evidence very little is known about Paestum during its first centuries. Archaeological evidence indicates that the city was expanding with the building of roads, temples and other features of a growing city. Coinage, architecture and molded votive figurines all attest to close relations maintained with Metaponto in the sixth and fifth centuries. It is not until the end of the fifth century BC that the city is mentioned, when according to Strabo the city was conquered by the Lucani. 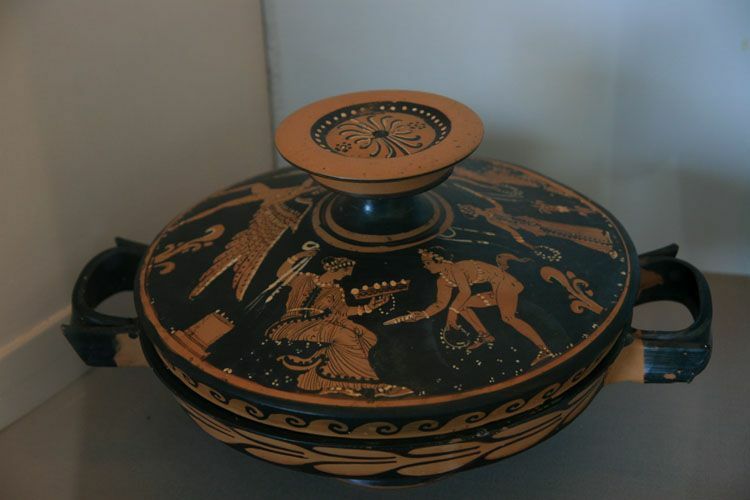 From the archaeological evidence it appears that the two cultures, Greek and Oscan, were able to get together and thrive. What is known is it later became the Roman city of Paestum in 273 BC after the Graeco-Italian Poseidonians sided with the loser, Pyrrhus, in war against Rome during the first quarter of the third century BC. Paestum is also renowned for its painted tombs, mainly belonging to the period of the Lucanian rule, while only one of them dates to the Greek period. 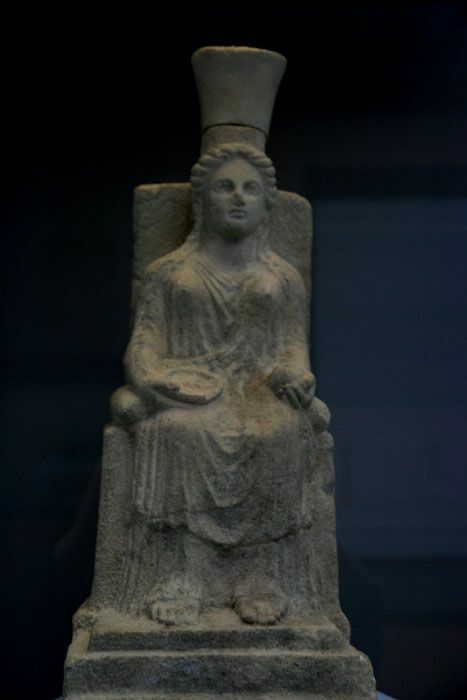 It was found, on 3th June 1968, in a small necropolis some 1,5 km south of the ancient walls. The burial monument was named Tomb of the Diver (Italian: Tomba del tuffatore) after the enigmatic scene, depicted on the covering slab, of a lonely young man diving into a stream of water. 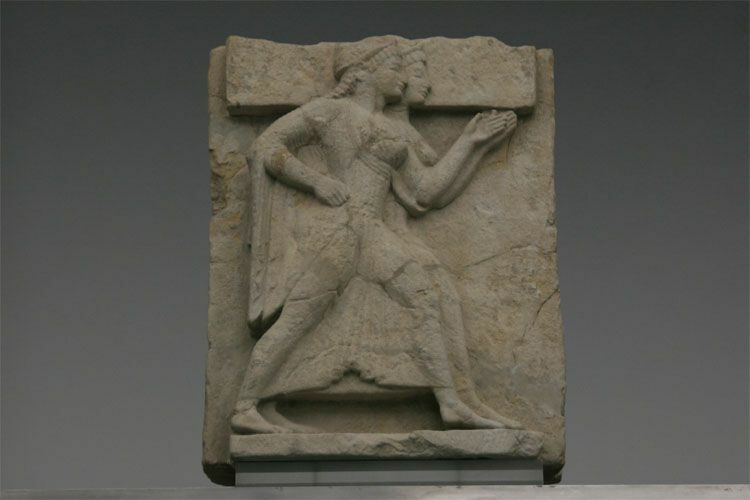 It was dated to the first half of the fifth century BC (about 470 BC), the Golden Age of the Greek town. The tomb is painted with the true fresco technique and its importance lies in being "the only example of Greek painting with figured scenes dating from the Orientalizing, Archaic, or Classical periods to survive in its entirety. 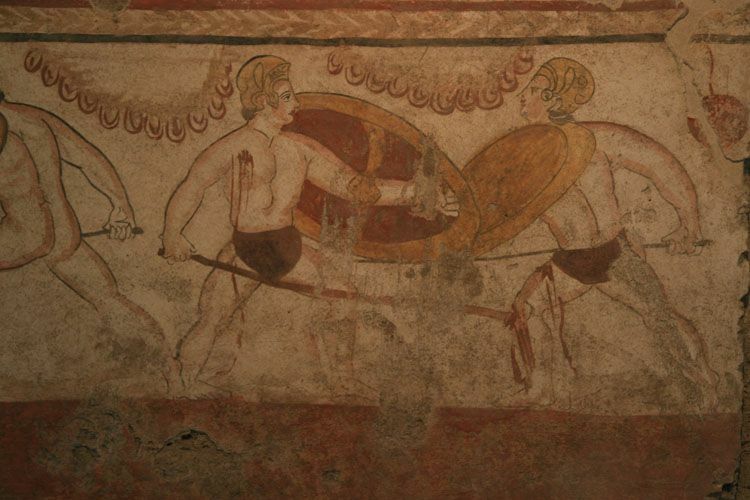 Among the thousands of Greek tombs known from this time (roughly 700–400 BC), this is the only one to have been decorated with frescoes of human subjects." 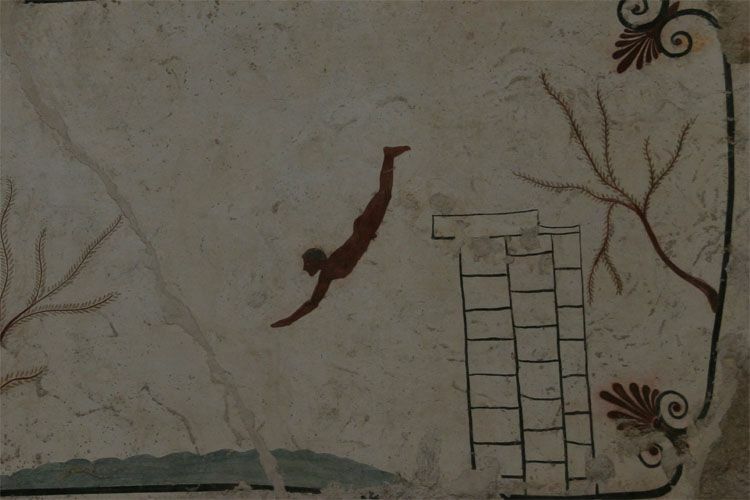 The remaining four walls of the tombs are occupied by symposium related scenes, an iconography far more familiar from the Greek pottery, than the diving scene.